Plants are necessary for a happy home. Not only do they do all the hard work of producing oxygen for us, just the very sight of their greenery can help perk us up if we’re feeling down. This is particularly true for those of us living in urban environments, with minimal exposure to nature; we need to take every chance to engage with plants, and if that means filling our homes with them then all the better because plants happen to look great too. But there are more options for growing plants than you might initially think. The possibilities are certainly not limited to simply “in the ground” or “in a pot”. This ideabook rounds up a selection of some of the more inventive ways to bring some leaves into your life, even if you don't have a big garden. Geometry is key to good home design, and as this image shows it can play an important role in good garden design too. This look must be admired for both the creativity of the concept and the skill of the execution. 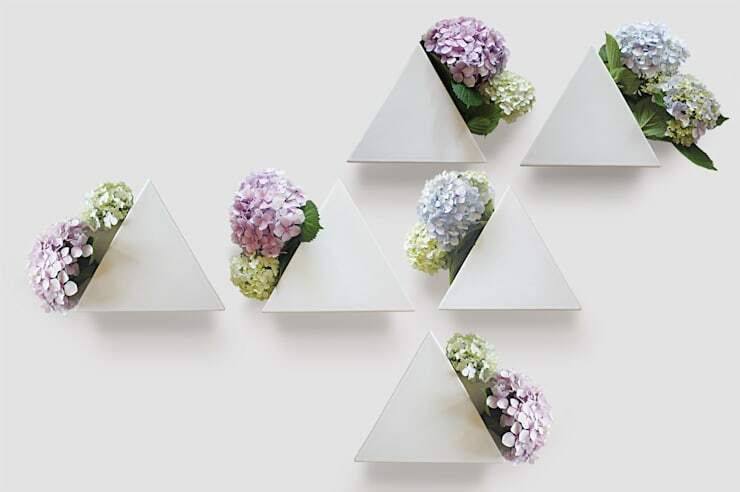 The choice of flowers, decision to use only white paint and the slightly randomised placement of the triangular pots all work together to achieve a sharply modern but nonetheless very pretty effect. Not everyone has a garden; in fact most people don’t these days, especially in Hong Kong and other big cities. But being gardenless doesn’t mean you have to be greeneryless. Even if your apartment is only slightly larger than a shoebox, you’ll still have room for this sweet bubble garden kit. It comes with all the tools you need to plant and grow your very own mini jungle. Adorable! This image shows the different elements included in the kit.There’s something especially endearing about the micro trowel. It goes without saying that this is likely to be a hit with kids. 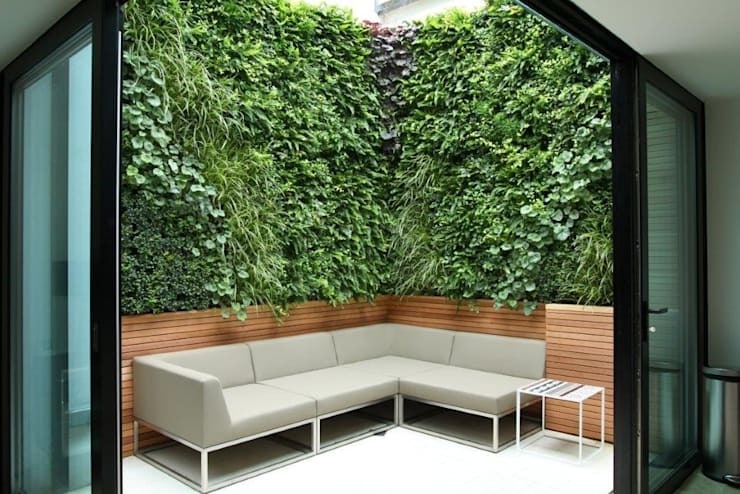 This simple seating area has been transformed completely thanks to the luscious, verdant wall covering of plants placed above. Notice how a wide variety of different plants has been used, leading to a diversity of textures. 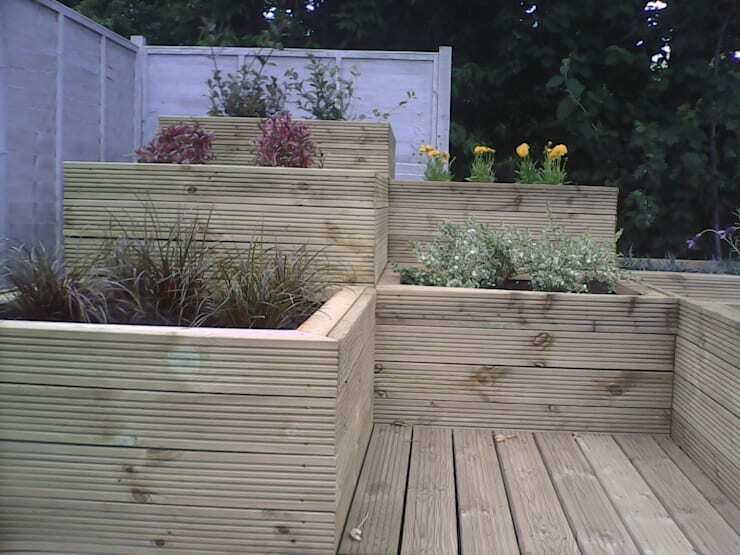 The neat, pale and distinctly modern choice of wood used beneath contrasts well with the wild and unkempt plants above. 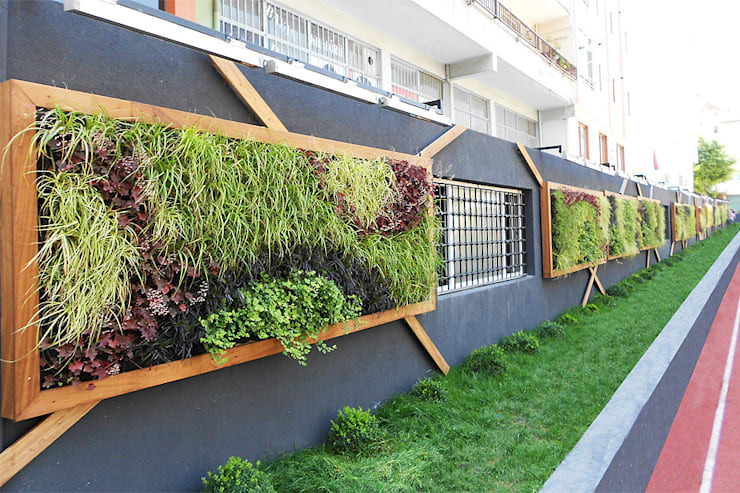 Wild grasses and other plants have been used here to create the unusual picture-like ornamentation on this wall. The vegetation chosen is all of a type you would normally expect to see growing on the ground, not on a wall; in other words, no ivy or other climbing plants are involved. Colour contrasts have been used to create striking patterns, which are different and unique in every frame running the length of this wall. 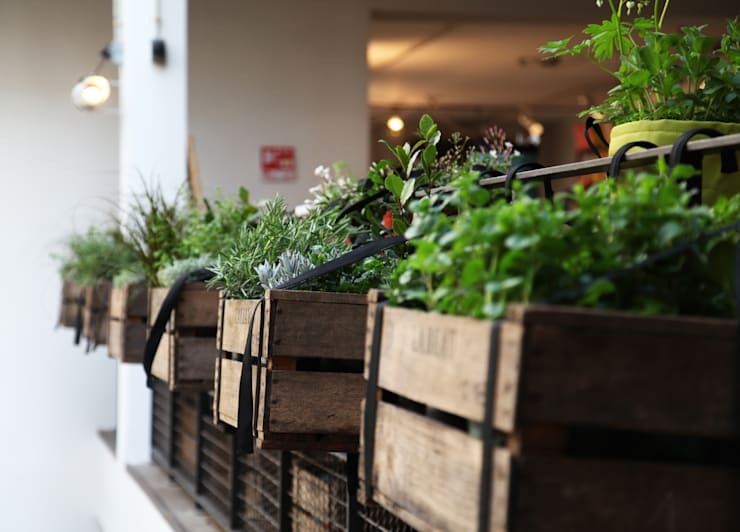 The designer of this hanging basket has gone back to basics, making sensible use of a crate’s practical dimensions for housing plants. Although the effect of this sort of utilitarianism seems like it ought to be quite harsh, the result is actually quite pretty. The blocky sturdiness of the crate simply serves to highlight the delicate nature of the plants it contains. A balcony could be made to look quite impressive – and very, very green – with a line of hanging baskets in this style. The multiple levels to this floral border allow a range of different blooms and grasses to let their colours shine, all within a relatively small space. There are many options for how you could work with a layout like this. Although here the designer has gone with small, simple plants placed quite sparsely, you could include shrubs or mixed wildflowers in some of the boxes if you felt like being a bit less restrained. Which of these ideas would work in your home?